Tasmanian Whisky Week - Exclusive Access Full Day Tour! Friday Aug 17, 2018. DEVILS DISTILLERY / KILLARA DISTILLERY / TWELVE STONES RESTAURANT / 7K DISTILLERY / SHENE ESTATE & DISTILLERY / MACQ01 STORY BAR. This very special Tasmanian Whisky Week Tour gives you the opportunity to visit 4 distilleries in a single day, to taste brand new Tasmanian single malt whiskies, to meet the whisky makers and to go behind the scenes of the distillation process. This tour will begin at Brooke Street Pier for complimentary tea/coffee over introductions including a special breakfast whisky. 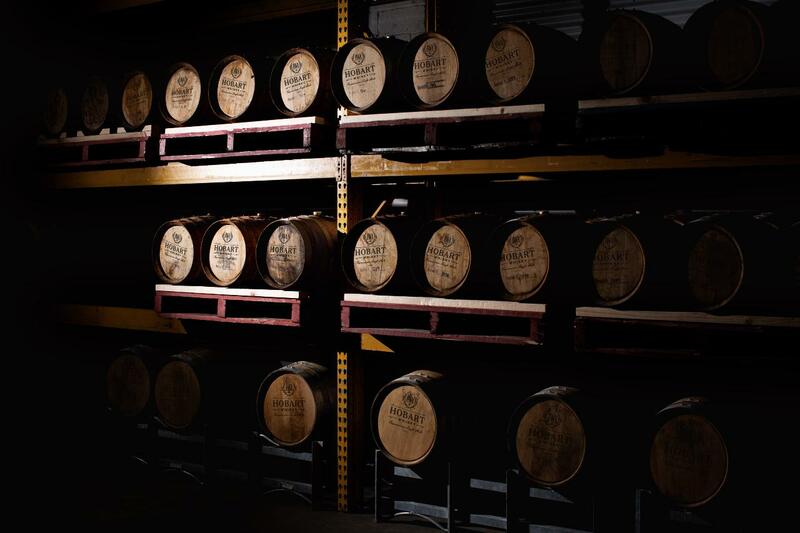 We will visit Devils Distillery for an exclusive private tour of their Moonah Distillery (not available to the public) and be among the first to taste their 3 brand new whiskies. You will have an exclusive opportunity to purchase 1st release bottles on the day! We will then visit Killara Distillery where Kristy Booth-Lark will take us through her new/old distillery where her folks Bill and Lyn Lark started distilling over 20 years ago! Now back in the family and making some fantastic next generation Apothecary Gin, Vodka and of course whisky (still maturing). Kristy's distillery is a new addition to our whisky route. Enjoy an inclusive lunch at Twelve Stones Restaurant in Pontville before we make our way around to 7K Distillery to meet Tyler and Harry who have converted a couple of shipping container's into their own distillery with a view to make Aqua Vitae Modern Gin, Amante Spiritus 'the Lover's Spirit' and see how their future whiskies are coming along. Our final distillery for the day will be Shene Estate where the scale of the operation has blown up dramatically in the past 12 months. With more stills than any other distillery in the state and with a 44,000L fermentation capacity this really is a Tasmanian distillery of the future. Known for their superb Mackey's triple distilled whisky, we will get a chance to not only try but buy Mackey's whisky on the day (unavailable for the past 12 months) and we'll let you in on a little secret - they are now making double-distilled spirit as well. Be the first to hear about future plans for the estate including their own cooperage! We will conclude approx 5.30pm at Story Bar, Macq1 in Hobart - the official whisky bar of Tasmanian Whisky Week! *NOTE: This tour starts at Brooke Street Pier, Franklin Wharf, Hobart and finishes at Macq01 Hotel, 18 Hunter Street, Hobart (5 mins walk apart).